 A fine grouping of 19th century Chinese export porcelain made for the American market. Decorated in the Rose Medallion pattern, these pieces are from a dinner service ordered by Samuel P. Carter of Tennessee (1819-1891) who was posed to China in the 1850s. Carter enlisted after graduating from Princeton. He was made a Lieutenant in 1855 and in 1856 assisted in the capture of the barrier posts at Canton. He became a hero in the Civil War having been made a Brigadier General and leader of the Tennessee Volunteers in 1862. He left the army in 1866 as a Major General, and then joined the Navy achieving the rank of Rear Admiral in 1882…one of the only Americans to achieve this dual distinction.